1comment 2019-04-15 07:55:32 source:Titanium media Author:Cai Pengcheng Just do it next week! Steady! A consumer rights activist of a Mercedes-Benz female car owner opened the corner of the "hidden rules" of 4S shop car purchase. The cause of the incident was a consumer rights activist. Recently, in Xi'an "Lee Star" Mercedes-Benz 4S store, a woman bought a Mercedes-Benz car for 660,000. However, according to her, the engine oil leaked when the car had not yet opened the 4s shop, but the 4S shop only accepts the replacement engine, and the consumer does not agree with this solution. As a result, a video of “sitting in the front of the car and crying about rights” was posted on the Internet and quickly spread the fermentation throughout the country, causing public concern. Since then, the 4S shop has declared that things have been resolved through friendly negotiations between the two parties. However, the woman explicitly opposed this statement, saying that the Mercedes-Benz party lied and did not solve it. A public recording showed that the two sides had a meeting on April 13 accompanied by the relevant regulatory authorities. Up to now, it is still unclear whether the two parties will reach a settlement agreement. However, the information about the "financial service fee" exposed in this recording is worthy of attention. The female car owner said that in the sales process, Xi'an “Lee Star” strongly recommended the installment loan, and the financial service fee was privately received without prior explanation. The request could only be transferred through WeChat and no invoicing. In this regard, Titanium Media has confirmed to a number of automotive industry professionals and lawyers. 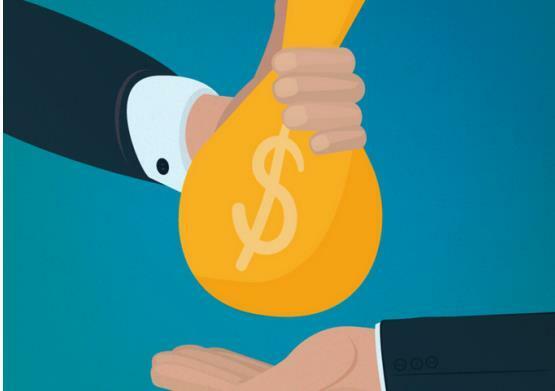 Industry insiders told Titan Media that the so-called “financial service fee” has become a “hidden rule” for the auto industry, and almost all mortgage car owners will be forced to pay the fee. Wang Deyi, the chief lawyer of Beijing Xunzhen Law Firm, said that according to the description of the owner, Xi'an “Lee Star” suspected of deceiving customers to consume and not invoicing has been obviously suspected of administrative violations. The other party's protagonist, Xi'an "Lee Star", can be described as "a big deal".Company lawThe man is Datuk, Malaysia, and the star behind it is Mercedes-Benz's largest dealer group in China. Reorganize the detailed process of the female car owner delivering the so-called “financial service fee”. According to the owner's statement, Xi'an “Lee Star” strongly recommended the installment loan. Finally, it promised to use installment payment. When the loan was paid for the down payment, the relevant person in charge of “Lee Star” suddenly proposed the service fee, about 15,000 yuan. She was not aware of it before. Lee Star 4S shop insists that she pay through the WeChat QR code scan code. She is not willing to pay through WeChat, but the relevant person of the Star of Stars 4S shop will leave immediately. "They walked for more than 20 minutes and left me there. I called the sales and shouted the man again." Under the stalemate, the other said: "You don't want to be embarrassed, let's give it to you!" As a result, the owner paid a total of more than 15 million service fees through two WeChat transfers, but no formal invoices. During the talks, the owner questioned the service content of the service fee and repeatedly stressed that “the information is provided by itself, the bank runs by itself, and the water runs by itself, but why pay this service fee? This service fee service content What is it?” and asked the 4S shop official to give an explanation, but the specific response from the 4S shop was not involved in the recording. What is the service of this financial service fee, and who is it? In the official website of Mercedes-Benz Financial, there is a document entitled "Public Project of Mercedes-Benz Auto Finance Co., Ltd.". The document shows that the company provides vehicle mortgage documents, issuing vehicle mortgage documents, vehicle license information/car purchase invoices, issuing repayment instructions, issuing transaction details, issuing mortgage documents, issuing monthly repayment invoices, etc. The standard is free. An industry insider told Titan Media that the service fees charged by mortgage customers tend to flow into the pockets of 4S stores. Lawyer Wang Deyi said that no matter who received the service fee, because this is the behavior of the 4S shop staff in their workplace, it can be considered that the service fee is known and allowed by the 4S shop. An auto industry insider described the living environment of today's 4S stores to Titanium Media – not relying on the price difference to make money, but mainly relying on the after-market service profit, especially maintenance, repair, insurance and loans. At present, the sales of bicycles in the automobile sales industry are not high, and even the price of 4S shop cars is lower than the purchase price. Therefore, some sales organizations have adopted a bundled consumption method to increase the burden on consumers. 4S stores may attract consumers at a lower price than their peers in the early stage and reach purchase intentions. And this kind of consumption is often dominated by low interest rates or interest-free loans. There is often very close cooperation between 4S stores and loan companies, andInsurance companyThere is also close cooperation between the two, the mode of cooperation is essentially the division of interests, 4S stores and employees can get a considerable number of rebates. Under this circumstance, some users who have the strength to buy a full car will be bought by the “fudge” loan, and the 4S shop will receive the financial service fee and the commission rebate. Mr. Zhao purchased the car from the 4S shop. Since the car was purchased by installment payment, the 4S shop asked Mr. Zhao to pay a so-called “financial service fee” of 3,380 yuan. However, due to the quality problems of the vehicle, the 4S shop was brought to the court. The 4S shop argued that there was no fraudulent activity. The contract signed between the two parties had clearly agreed on the financial service fee and the card fee. It also showed Mr. Zhao the relevant fee notice. Mr. Zhao knew that the fee was paid. 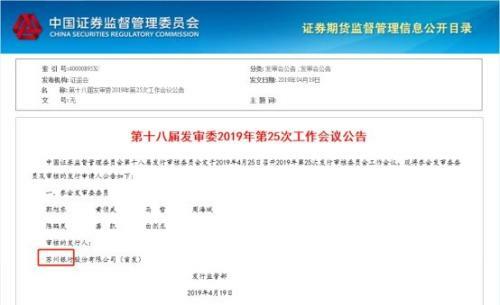 The court finally concluded that in this case, regarding the financial service fee, Mr. Zhao purchased the car by means of installment loan, and he will pay interest to the bank according to the agreement. The 4S shop does not have any legal basis for collecting the financial service fee, and should be refunded. Regarding whether the collection of financial service fees constitutes fraud, the court held that the case was a sales contract dispute. Mr. Zhao purchased the car and paid for the car. The 4S shop should deliver the car in accordance with the contract, and the financial service fee and the card fee are not charged. 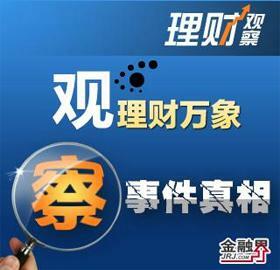 The implication of Mr. Zhao’s intention to purchase a car is not enough to constitute fraud. All in all, the court held that there is no legal basis for the 4S shop to collect financial services fees on its own and should be refunded. However, since the consumer has been informed beforehand, it does not constitute fraud. In the event of the Mercedes-Benz owner, according to the description of the owner, the 4S shop did not even inform the receipt of the “financial service fee” in advance. Lawyer Wang Deyi told Titan Media, “In the process of signing and fulfilling the contract of the Mercedes-Benz incident, 4S stores have made consumers accept unfair and unreasonable methods in a compulsory, deceptive and concealed manner without explicitly telling consumers. Consumer items. Allegedly fraudulent." The other protagonist of the incident, Xi'an "Lee Star", can be described as "a big deal." According to the industry and commerce information, the 4S shop of the car involved in this case belongs to a full name of Xi'an Lizhixing Automobile Co., Ltd. (hereinafter referred to as Xi'an Lizhixing). The license file name is “Foreign Investment Enterprise Registration”, which is a foreign-controlled company. The legal person is Malaysian Yan Jiansheng, who is a director of Mercedes-Benz (China) Automobile Sales Co., Ltd., and he also has a status of Datuk in Malaysia. In Malaysia, the title of “Datuk” is a title under the honor system. Although it does not have hereditary and sealed powers, it is a symbolic lifelong honor. The two shareholders behind Xi'an Lizhixing are Zhongxing Group Co., Ltd. (75%) and Xi'anaviationEngine Group Tianding Co., Ltd. (holding 25%), one of the latter’s shareholders is AVICindustryAnd it is China’s top tenMilitary industryOne of the groups. Its major shareholder, Zhongxing Group, has a broad sales map of automobile vehicles. The well-known luxury car dealer group Lixingxing Automobile is a subsidiary company. The dealer group is one of the largest luxury car dealership groups in China, with an annual revenue of 80.11 billion yuan in 2017 ranking third in the 2018 China Auto Dealer Group Top 100 list. Jinghua.com reported in a 2011 report that Lixing is the largest dealer group in China. Moreover, Lixingxing holds a 49% stake in Mercedes-Benz China and is the largest shareholder of Mercedes-Benz China. In 2017, Daimler, the parent company of Mercedes-Benz, officially acquired a 15% stake in Lixingxing, and deeply bound this Chinese partner. Not only does it occupy a leading position in the Chinese market, but in South Korea, Lixing has a 100% stake in Hanxing Auto, which is the largest distributor of South Korea's Mercedes-Benz in China. Behind the Da Naidun Yan Jiansheng and his Li Xing line, there are still some star shareholders hidden. In 2010, actress Zhao Wei established Wuhu Dongrunfa Investment Co., Ltd. with a capital of 9 million in her hometown. The eldest brother Zhao Jian later invested 1 million and became the legal person of the company. Five years later, Zhao Wei's brother-in-law, Wuhu Dongrun, paid 44 million yuan to set up Wuhu Zhongxing Automobile Sales and Service Co., Ltd., which accounted for 40%. In this company, Yan Jiansheng is a legal person, chairman, and Zhao Wei brother and sister are all directors. The company's official website shows that this is the only dealer in the southern part of the country to officially represent Mercedes-Benz sales. Huaxia Bank achieved a net profit of 20.854 billion yuan last year. Lian Ping: The possibility of a large overall RRR cut is reduced. Bohai Bank reduced its revenue in 2018 and reduced its net profit by 4.83% year-on-year.